I wore the necklace on a trip to London with my sister at the beginning of this week. 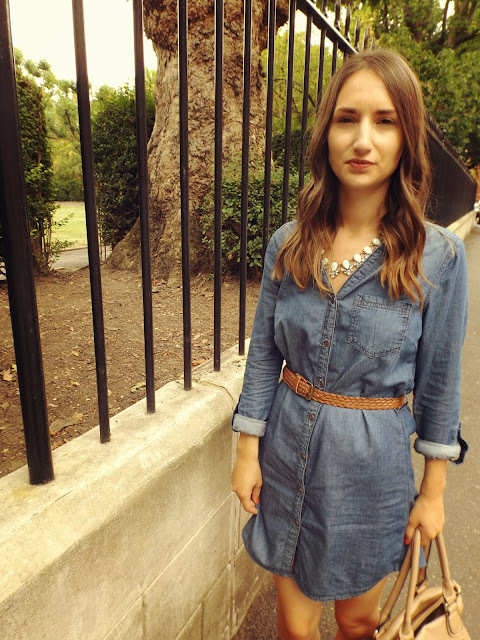 I paired it with my denim dress and tan bag and belt and I liked how it made my outfit look a lot more glam! When the weather gets a little cooler I will wear it with a thicker dress, tights and boots. Sadly the weather has turned rather cold and gloomy here in the UK...So, I decided to jazz up a warm knit with the gorgeous Happiness Boutique necklace! 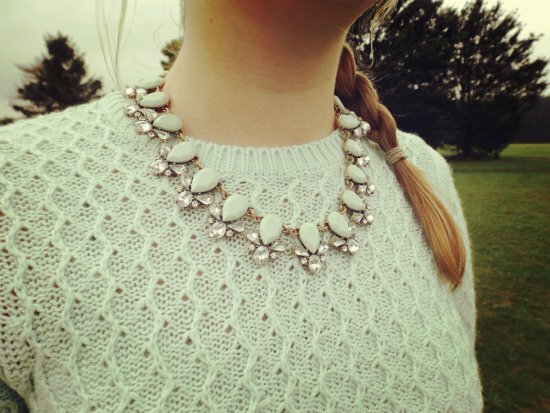 I love adding a nice necklace to a simple top or jumper and the colours of these two go perfectly together. 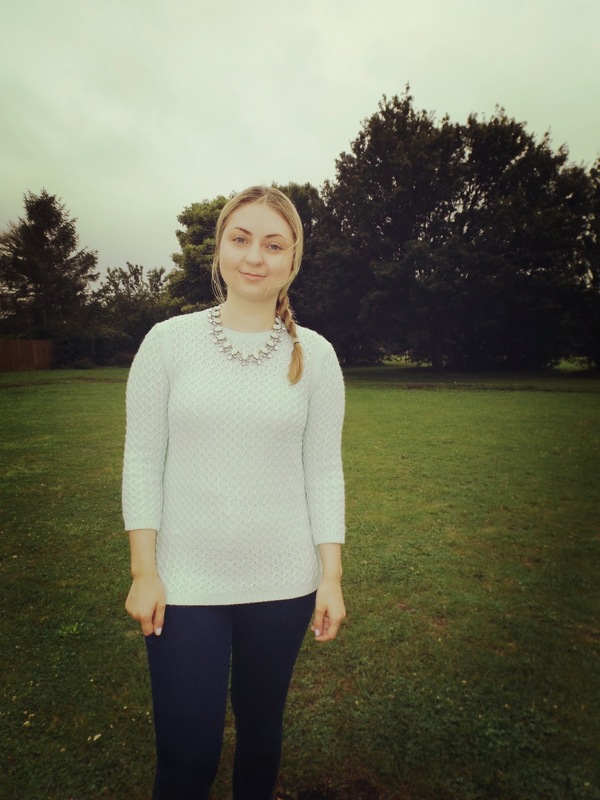 How do you style a statement necklace? looks great in both outfits! Love happiness boutique necklaces, they are so so pretty! 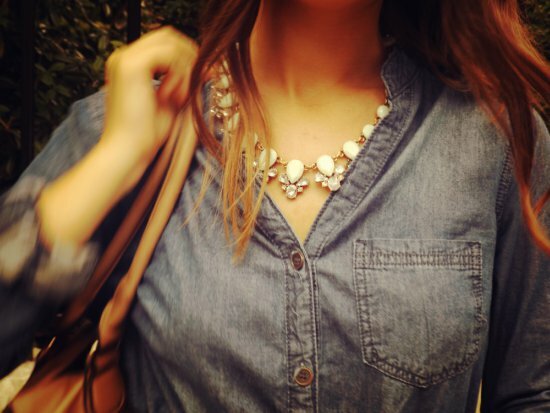 I love how statement necklaces really just make an outfit 10 times more special! Both outfits are really stylish! I would definitely style it with casual pieces like your denim shirt Rosanna! Thanks for sharing Miss! Very pretty looks, the statement necklace look awesome! Especially while wearing the first outfit. Both gorgeous looks! Love the necklace! I really like both outfits featuring this wonderful necklace. Pairing it with a denim dress was a great style choice, but it looks great with that white knit sweater. You girls both look lovely! Beautiful necklace, I love this style! Stunning necklace! Love how you styled it different ways! I love your outfits! The necklace is so nice! Stunning necklace! Love it in both looks!!! And you two looks so beautiful! 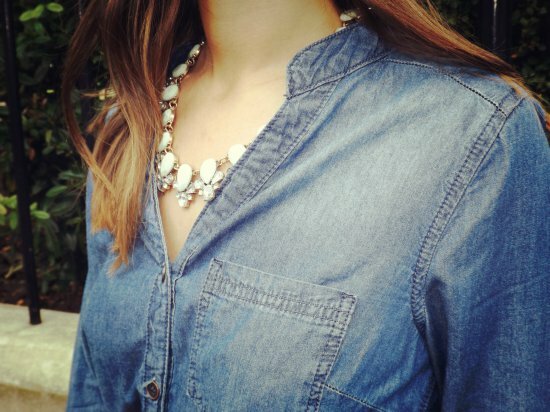 Such a beautiful necklace, good together with the denim dress!